Title: "The Bible for Rememberance"
My father, Dale G. Harris, was supposed to live but it would be at the expense of another young life. PVT Harris had joined the US Army in March 1966 as a Radio Mechanic. After training at Ft. Benning he was assigned to the Communications Platoon in the Headquarters Company of the 2nd Battalion, 47th Mechanized Infantry Regiment, 9th Infantry Division at Ft. Riley, Kansas. The 2nd Battalion moved out from San Francisco, California on Jan 9, 1967 and arrived in Vietnam on Jan 29, 1967. 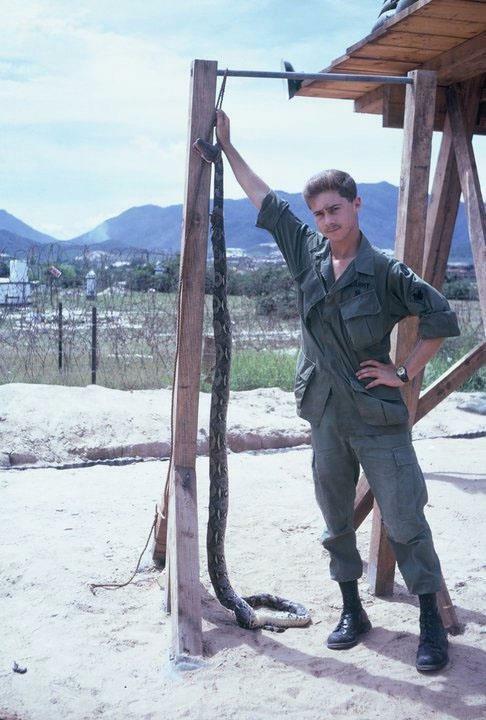 The 20 year old Private was assigned as a Radiotelephone Operator (RTO) and from his arrival in January to June 1967 participated in all combat operations that his company and battalion were assigned. In June 1967, PVT Harris was going to be reassigned to the Ben-Wah base as a Radio Technician and his replacement had just arrived in country. PVT Harris had been training PVT Robert Allen Davis of Fort Wayne, Indiana for two weeks when Harris received a mission. Harris was to join his Captain, First Sergeant, driver and gunner and go to a meeting at Camp Bearcat. They were to load up on an armored personnel carrier (APC) and drive from their current bivouac area to the camp. Hearing about the mission, Robert told Dale that he would go on the mission and that he should just stay back. “I have to learn the job anyway,” Robert said as he geared up and went to join the group assigned to the mission. Five minutes later, an explosion rocked the bivouac area. The APC carrying the new RTO had run over an explosive device. PVT Davis was dead as well as First Sergeant Gene Elwood Calph, Driver Clyde Owenby and the gunner. The Captain lost his arm. Dale joined the detail assigned to recovering the bodies of the soldiers that died in the explosion which included the young man that had taken his place on that failed mission. A couple of weeks after that tragic event, a bible appeared on Dale's bunk. It was the bible of PVT Robert Allen Davis. To this day he is still unsure how the bible came to be in his possession but has cared for this bible for 50 years. My father trusted me with this story many years ago but I only just wrote it down in full format two years ago. I am grateful I did. Not long after I posted the story to my blog, Rob Hunsche, the nephew of PVT Davis, found it and contacted me. He was grateful to finally have a few details about his uncle's time in Vietnam. Rob told me that his mother, the sister of Robert, never recovered from the loss of her brother and Robert's parents never had closure. Since then, our family ensures that Rob's family know that we honor his uncle's service especially on Memorial Day. I am submitting this story not only for the life that was spared but for the life that was given. This is to honor both Dale and Robert.